Software has had a long history with manufacturing, one that has been at times mutually beneficial and at times complicated. At the beginning, around the 1960s, companies were using software mainly for accounting and inventory management, which in the 1970s grew into materials requirements panning (MRP) software. MRP software systems combined the billing of materials, inventory, and master production schedules in order to calculate accurate materials requirements. In the 1980s, these systems evolved into manufacturing resource planning (MRP II) software, which integrated capacity constraints and consolidated materials planning with factors such as finance, plants and facilities, and employees. As numerous manufacturing processes became more integrated with automation, computer software became even more essential to the industry. It is now essential to incorporate software in a range of systems. 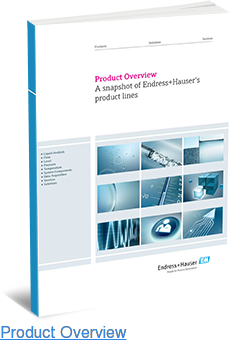 Endress+Hauser has long been an innovator and adopter of software in their processes and equipment. These are essential in improving efficiency and streamlining processes throughout plants and facilities in a variety of industries. 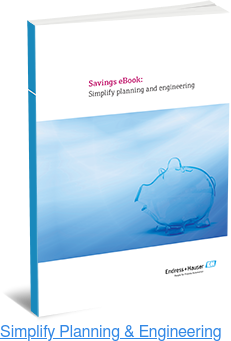 One such program utilized at Endress+Hauser is ReadWin 2000. This program is PC software for device configuration, stored data visualization, and central data management. It allows operators to configure and store parameter sets for supported devices. Operators can also use the program to read out stored data from data managers and securely archive it to protect it against tampering. The ReadWin 2000 program also allows printing and exporting archived data. It is easily installed and used without restrictions. 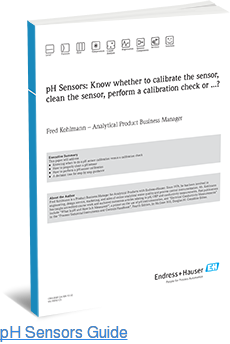 FieldCare is another innovation from Endress+Hauser. It is our universal tool for configuring field devices, providing a variety of functionality ranging from device parametrization to engineered solutions related to Condition Monitoring. The FieldCare software features a frame application certified by the FDT Group (Field Device Technology, Int. Organization), operates all third-party gateways, actuators, remote input/output systems and sensors. It is scalable and easy to setup, allowing unparalleled device maintenance management, condition-based maintenance, and life cycle management. The ReadWin 2000 and FieldCare programs are used in several E-direct products. This includes the Flowphant T DTT35, ideal in monitoring, measuring, and displaying relative mass flow rates in liquid media in the food and beverage industry. It also includes Ceraphant T PTP35 hygienic pressure switch, essential in controlling and monitoring pressures in hygienic applications. Download our product catalog today to see how E-direct’s software solutions can benefit each of your systems throughout your facilities. Feel free to contact us with any questions.